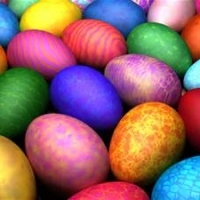 Start your weekend by joining us for a lovely Easter Egg Hunt and Continental Breakfast with entertainment featuring Jim Necci's "Cold Blooded Creatures". After breakfast, the children and adults will come together in the School Gymnasium where we will have an Easter Devotion followed by entertainment of "Cold Blooded Creatures", a look at some really cool exotic animals. Finally, the children will head outdoors (weather permitting) and get ready for what we think is the best Easter Egg Hunt in the Midwest which consists of over 2500 eggs! Everyone will go home with candy! This year we are even hiding coupons for gift cards in some of the eggs. If it rains, we will still have the hunt in the school gym. The Hunt will begin around 10:30am. Invite your friends and neighbors! Don't forget to ask grandparents! This is a fantastic family event! Mark your calendars and sign up for this event soon! The cost includes breakfast, the entertainment and egg hunt. Please pre-pay no later than April 8. Make checks out to Trinity. All we ask is that you pre-register and pre-pay in order for us to purchase food. Please CLICK HERE for the registration form and then place in the envelope by the poster in the school lobby or church entrance area.